With the introduction of drones the surveillance through the air is becoming more popular. Unmanned surveillance drones were first used by the police and the military. However, the technology has developed and these drones are becoming more and more prominent in society today. Also, it is expected that the popularity will continue to grow within the coming years. Today drones come with inbuilt cameras to make it easier for anyone to take photos and capture videos. They can also perform different tasks such as radio jamming, heat sensing, radar detection and surveillance. These drones will allow you to watch what your device is capturing live by simply connecting your mobile device. These drones can be very useful for the media to shoot photos and videos for their news. By using the video surveillance method the crime can be reduced. These drones can help you to save the extra labor cost. Camera is the first thing to consider in purchasing surveillance drones and you should make sure to check how good the camera is. The surveillance video will have low-quality if the camera is not of high-quality. For clear preview, HD cameras are recommended with, at least, 720p of recording. When flying drones the flight time must be considered at all times. To maximize the performance of the drone you must plan ahead on what you will capture. It is very important to make at least 5 minutes allowance in case the battery drains much faster and to fly the drone back to your location safely. The longer the range of control, the better the drone is for surveillance. It is important to note that there are available accessories which can lengthen the signal transmission of your controller. In delivering high-quality videos and still photos drone flight stability is essential. Drones without enough stability will capture distorted images and videos and that’s why most surveillance drones have built-in sensors and anti-weather features. These features make the drone fly straight and capture videos without any distortions. However, investing in these drones can be a little tricky because there are a lot of models available on the market today so it can be very difficult to decide which one to buy. That’s why we have hand-picked the 9 best surveillance drones for sale available online right now. The Phantom 3 Professional is the fourth installation of the Phantom 3 model and it is one of the best aerial surveillance drones in the market. This model has 4 rotors to assist its flight. This feature makes the Phantom 3 Professional more stable than any other types of drones. This Phantom 3 model is light in weight but thanks to its Carbon Fiber Hardshell it is quite strong and durable. It is designed to work in all kinds of weather and also the system of this drone is engineered for complete stabilization. The drone is equipped with an intelligent 100V 4480mAh Li-Po 4S battery that provides about 23 minutes of flight time. The drone comes with a 3-axis 12MP 4K UHD video camera that enables you to capture HD images and videos. The best part about the Phantom 3 Professional is that you can watch the video that it is shooting live with using the new generation of Lightbridge technology and the DJI Pilot application. This application also allows you control the camera view in real-time. This feature enlarges the range of view and makes surveillance easier. 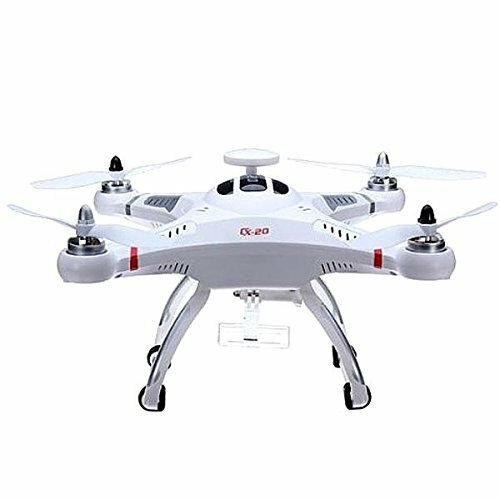 This drone also comes with GPS navigation that helps in auto takeoffs and auto landings. However, you can fly the drone indoors, even without GPS signal thanks to its built-in integrated array of sensors that complement the Vision Positioning feature. It is important to note that the data for the restricted area is loaded in this drone for the safety purpose. Also, the standard package only includes the basic requirements for a drone product. However, several accessories can also be purchased along with it, such as SD card, extra battery and a Hardshell Backpack. 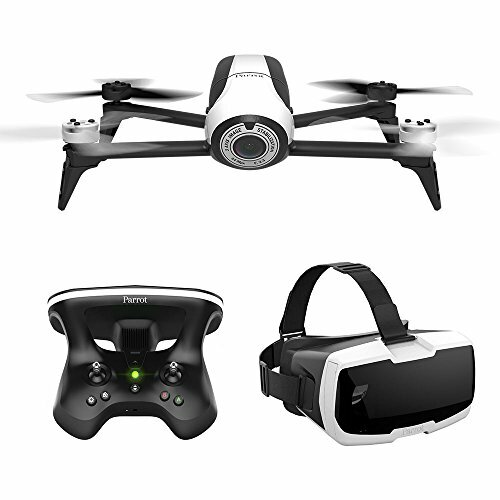 The Yuneec Q500 4K Typhoon is an RTF drone. This means that it is already assembled and packaged for flight. This drone comes with 3-axis stabilized CG30 12MP 4K precision gimbal camera that is perfect for shooting professional-level video. This is the highest video recording quality available on a built-in camera and records at 120 fps. The camera is situated to experience first person flight experience and the drone also comes with a hand mount to use the camera as a mini handheld stabilized system. The radio controller incorporates a touch-screen Android device into its design. It has touch screen features that allow you to adjust the video quality, exposure and white balance. The footage, the flight data, telemetry and FPV are also directly viewed from the controller, without further need of a mobile application. To ensure maximum performance and to deliver high quality surveillance videos, some users recommend upgrading the firmware once you have bought this model. The drone is powered by a powerful 11.1V 5400mAh Li-Po 3S battery and has a flight time of about 25 minutes. Also, the drone ships with an extra battery and a carrying case if you opt for the more expensive package. The manufacturer lists the Q500’s top speed at just under 18mph and the operating range of about 800 meters. The brand name may not pique some kind of interest for drone enthusiasts. However, in terms of camera this model is on par with leading brands such as DJI Phantom. The Parrot Ar.Drone 2.0 Elite Edition is considered to be the perfect drone for surveillance because it offers enthusiasts a choice of three classic camouflaged styles inspired by arctic, desert and rain forest landscapes: snow, sand and jungle. Each model can bring new freshness and camouflaged aura with respect to your chosen surveillance area. The drone has 4 propellers. 2 of the propellers are colored according to your chosen style and the remaining two propellers are black. The drone relies on an Android or iOS device connected to a Wi-Fi hotspot the drone generates and it doesn’t come with any sort of controller. This means that you need a tablet or Smartphone and the free AR. FreeFlight app to control the drone. The 720p camera is situated to experience FPV experience and allows you to record whatever the AR.Drone 2.0 sees. The mobile application handles all recording and storage. This means that any images or video you capture are automatically added to your tablet or Smartphone. The drone is also equipped with a nice 1000mAh Li-Po 3S battery that gives you about 12 minutes of surveillance time. The drone also has a Director Mode feature that can be bought in the application. This feature allows you to pre-determine the movements of the drone to your liking, while capturing your HD videos. Also, to deliver high quality videos while on-air you can also tweak various settings such as white balance, color saturation and exposure. The Parrot Ar. Drone 2.0 Elite Edition also comes with the Absolute Control Piloting Mode. This is brand new exclusive piloting mode for this drone, designed to help newbies adjust to an app controller. This feature allows you to tilt your phone in any direction and the drone will fly towards it. The drone has unique stability produced by sensors and navigation systems and weather influences are of no hindrance to the stability. The drone can withstand winds ranging to 15m/h, which makes it perfect for beach shots and field surveillance. The Parrot Bebop 2 is the second generation of the Parrot Bebop series and it definitely improves on the original. Using a Smartphone app, anyone could fly this drone easily, no experience required. The Bebop 2 features a slender design and 14MP 180-degree fisheye camera. Also, the drone’s well-designed structure gives a first person experience like no other. It also features an onboard memory of 8GB to save all your recorded surveillance. The drone itself comes with a fast processor. This feature enables it to fix image distortion due to the fish-eye effect while live streaming it straight to your Smartphone. Thanks to its powerful 11.1V 2700mAh Li-Po battery you can have an average surveillance time of 25 minutes with a maximum speed of up to 38 mph. The Parrot Bebop 2 can be controlled directly from your Smartphone using a specified iOS/Android app. You can also buy SkyController, an optional controller. This controller can increase your flying distance and give you an easy grip in flying your drone. Many users praise the drone’s durability. They claim that they witnessed how this drone went to failsafe and landed from a 20-feet fall with only scratches and two broken props. The Bebop 2 is also equipped with rear LED lights that will provide more visibility during night time. They will also help you if you have trouble shooting in the dark. Users also suggest buying a GPS autonomous option inside the app. This feature can help you set GPS tracks for the drone to fly. The Traxxas Aton Plus is reasonably priced drone that is loaded with features, such as a return-home feature, air brakes and a really tough composite frame. These features can make professionals and novices stare in admiration. 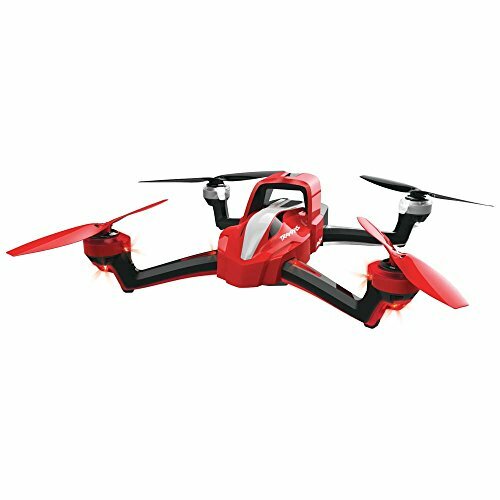 This drone functions better than many of the other drones on the market although it may look like a toy. The only real disadvantage to purchasing the Traxxas Aton Plus is the lack of camera. However, it is compatible with GoPro and other action cameras and once a camera is attached you can create very smooth, quality media. The 2-axis gimbal is designed to carry a GoPro camera. Thanks to its 2-axis gimbal the drone also provides the pilot with amazing stability. This device provides the videography with a clean and crisp quality product by absorbing all movement. In Sports Mode the Aton is capable of very aggressive flight and a pilot can easily reach 50+ MPH! With the press of a button you can couple its amazing speed with aerial manoeuvres, which allows for a different and more exciting level of fun. The Traxxas radio for the Aton Plus looks game control- ler-ish. However, it gives you all the functionality you need right at your fingertips and it features super smooth movement on the sticks and their non-skid rubber surfaces. You can have an average surveillance time of 20 minutes, thanks to its 11.1V 5000mAh Li-Po 3S battery. The DJI Inspire 1 Pro combines the finest quality with a reasonable price and it is the go-to drone for surveillance and commercial videographers. This drone’s style, with the state of the art mechanical scheme, lives up to the next generations’ era. This drone can be intimidating to behold and it is a large piece of professional equipment and not a toy for your kids. If you have set your eyes on the Phantom 3 you should know that all functions of the Phantom 3 are included in this model. 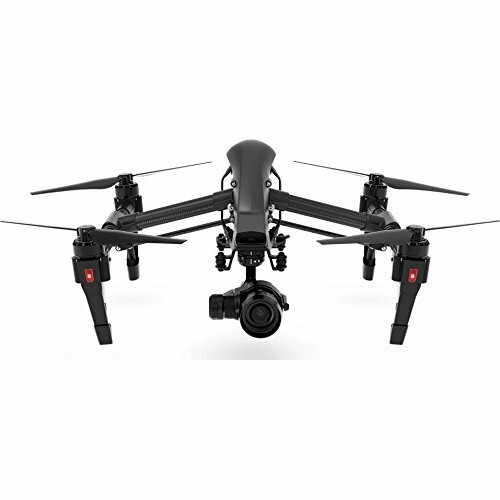 The Inspire 1 Pro comes with even further enhancements. It is equipped with Zenmuse X5, the first in the world to feature Micro Four Thirds camera, with a DJI branded 15mm f/1.7 lens capable of shooting crystal clear 4K video and high-definition images. This camera will give you the next-next tier in aerial photography and it is designed specifically for aerial shots and surveillance. Also, DJI’s new vision positioning system provides stable tracking and the GPS is no longer needed to keep the drone stable. The drone is equipped with a powerful 22.2V 5700mAh Li-Po 6S that allows about 22 minutes of flight time. Overall, the DJI Inspire 1 Pro is an amazing piece of professional equipment and those who can afford the price tag will be in store for a great treat worth every bit of money they paid. The Cheerson CXHOBBY CX-20 Professional is a highly efficient and versatile drone and it is one of the best aerial surveillance drones in the market. This drone combines distinct features such as flight duration, the strength, durability into one to make it a powerful aerial surveillance drone. The design of CX-20 Professional is quite impressive and this drone is better when compared to other models in terms of stability. The CX-20 Auto Pathfinder has the IOC function of the MX autopilot system. This means that the outputs of all command sticks from controller will go to the center position when the communication between the Mx Controller and the transmitter is disconnected. The system will automatically trigger Return To Home if the GPS signal is good and the drone will land safely. Auto-Pathfinder also has two levels of low voltage protection that prevents your drone from crashing or other harmful consequences caused by low battery voltage. The CX-20 is not equipped with a camera. However, this drone is compatible with external cameras such as GoPro camera that can easily attach to the drone’s main body via a compatible stabilization gimbal. The drone is fitted with LED lights to aid orientation during flight. It is also equipped with a powerful 11V 2700mAh Li-Po 3S battery that gives you about 15 minutes of surveillance time. 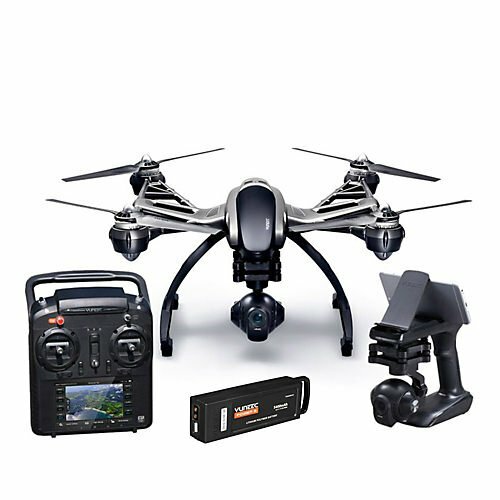 The Walkera QR X350 revolutionized the drone surveillance market upon its release. It is a perfect surveillance drone that combines efficiency with versatility. The flight duration, the speed, its build quality and host of other amazing features and optimization for aerial video/FPV use make the QR X350 Pro one of the most important drones to be used in the field of UAV surveillance. The QR X350 Pro provides astonishing 25 minute on the surveillance time on the stock power system thanks to a powerful 11V 3500mAh Li-Po 3S battery. The drone has an enhanced altitude sensor which adopts GPS technology. This amazing feature allows the drone to hover in a stabilized position hold mode. The drone also offers an onboard low voltage warning system to alert you when it’s time to land and a manual mode for the sport flyer. Also, by using the hover mode you can fly this model even if the weather condition is windy. The Walkera QR X350 Pro doesn’t come with a camera. However, this model features G-2D brushless camera gimbal. The gimbal is designed for use with Walkera’s iLook HD FPV camera and also the GoPro Hero 3. After you install your iLook or GoPro Hero 3 camera you’re ready to capture professional stabilized aerial video! The Walkera QR X350 is strongly built, durable and capable of flying at a speed that you least expected from a drone. The most important feature of this drone is that the maintenance is quite easy. 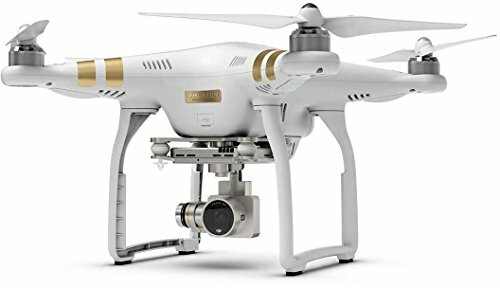 The DJI Phantom 4 has features that can outshine other surveillance drones, such as Built-In Redundancies, High-Speed Flight, Visionary Intelligence Elevated Imagination and Intelligent Flight Support Systems. This model is boasted as one of the smartest camera drones DJI has created yet. 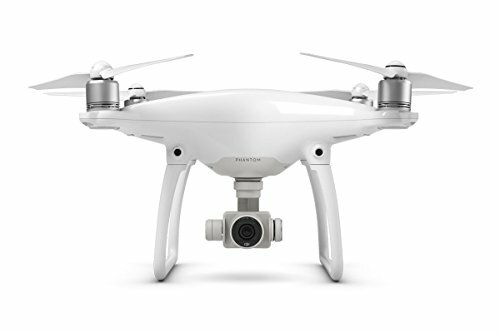 The DJI Phantom 4 also features the ActiveTrack flight mode, which allows for an object to be focused on the device’s screen, and the drone will then follow it. This feature makes the Phantom 4 the perfect aerial surveillance drone. The drone can also avoid obstacles, like trees and buildings while following the subject. The best thing is that it will still maintain a steady frame for your media. The DJI Phantom 4 comes equipped with one of the best cameras currently available on the market. The camera is ready to shoot 4K videos at 30 fps. It even comes equipped with fun features such as slow motion. This amazing feature allows for the production of creative and unique media footage. The users say that the produced media is always top-notch even at impressive speeds of 45 mph. The manufacturer coupled these amazing stats with a broad field-of-view lens. This feature gives every flyer the ability to shoot the cleanest and most crisp aerial footage of today. The Phantom 4 boasts an impressive 28 minute flight time and the range of 5000 meters is one of the furthest we have reviewed thus far. All in all, this surveillance drone is definitely one of the best on the market and it is worth every penny. The launch of drones has definitely revolutionized the area of surveillance. The surveillance drones make the life of people a lot easier. The development of these drones has also created a great impact on the media. Today, we can see the media using a drone for shooting photos and videos that are really difficult for a human being to shoot. Also, uses of these drones are becoming more and more popular in the armies in different countries. The surveillance drones have also made it easy to keep a watch on big farmlands. You can also use them for hunting and anti-hunting. All in all, the surveillance drones are very popular and extremely useful today and we will definitely see the rise in the use of these drones in the nearby future.